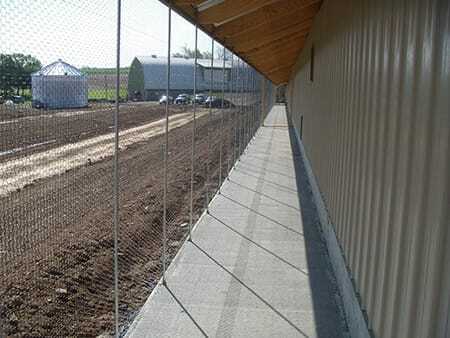 36,000 birds in an aviary system in Wisconsin. The hens also have access to an outdoor run. Photo by The Cornucopia Institute. 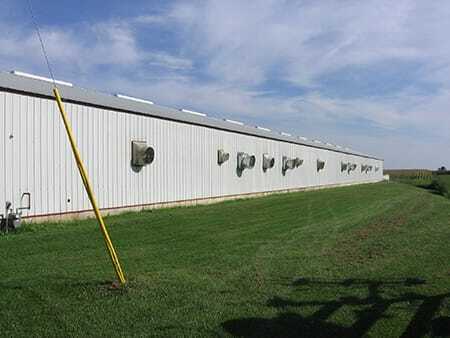 Like many other facilities that raise pullets (young birds), this house in Southwest Wisconsin confines the animals, granting no outdoor access whatsoever, and provides virtually no natural light in the building. This house raises young birds for Organic Valley. Photo by The Cornucopia Institute. A henhouse with a porch on one end of the building. 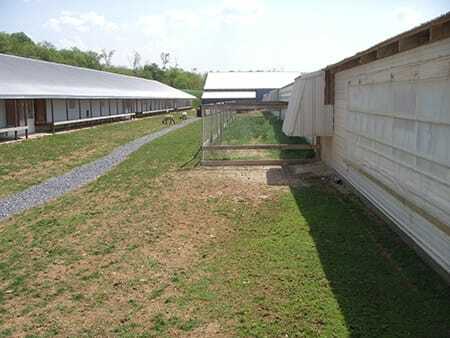 It would be impossible for chickens living at the other end of the henhouse to have access to the outside—therefore they do not really have “access to the outdoors.” Photo by The Cornucopia Institute. Operation certified by Quality Certification Services. 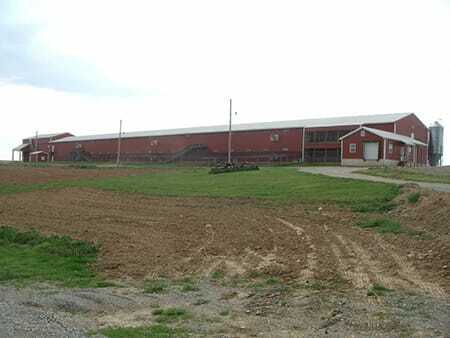 Chickens confined in this building, which houses pullets (young birds) for Organic Valley, have no outdoor access whatsoever. Photo by The Cornucopia Institute. This porch, with a concrete floor, previously supplied a major brand on the East Coast. This company took the lead in providing meaningful outdoor access for its laying hens, and has completely eliminated the use of such porches. Their birds are now out entirely on grass and soil and now support rulemaking requiring a minimum of 5 ft.² per bird outdoors. 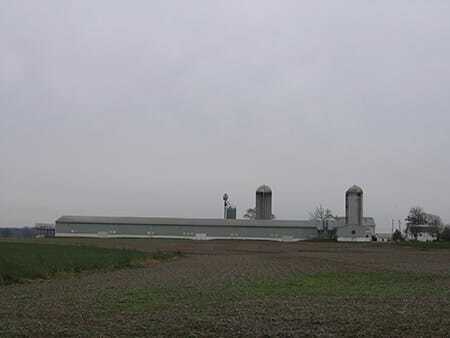 The farm in this picture remains in organic production today, supplying another “organic” brand name. Operation certified by Pennsylvania Certified Organic. 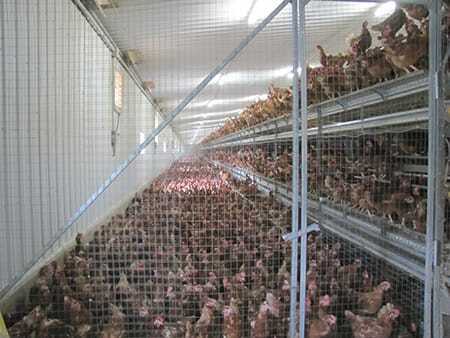 A two-story henhouse with tens of thousands of organic hens inside. The small, enclosed porch on the first floor provides “outdoor access” for the chickens on the second floor as well—it is accessible via a ramp that leads chickens down, single-file. Photo by The Cornucopia Institute. Operation certified by Global Organic Alliance. 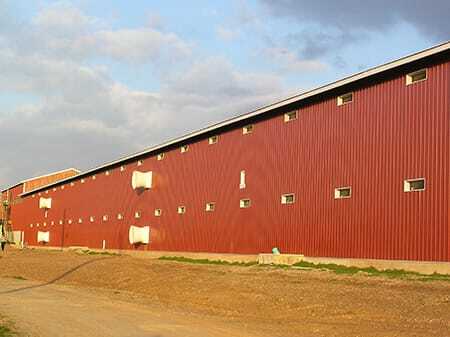 The outside view of a 60,000 bird “organic” henhouse in Pennsylvania. The other side of the building has a small grassy porch as “outdoor access.” Photo by Cornucopia. Operation certified by Global Organic Alliance. 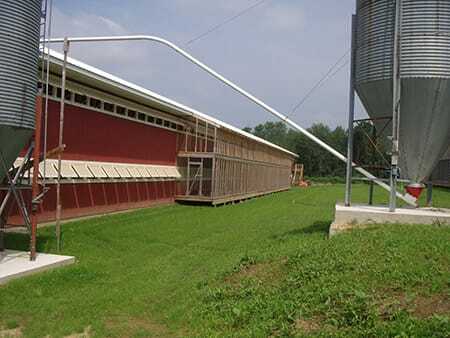 This grassy porch provides “outdoor access” for approximately 16,000 organic hens, at a farm in Pennsylvania that supplies eggs for Sauders. Photo by The Cornucopia Institute. Operation certified by Pennsylvania Certified Organic. 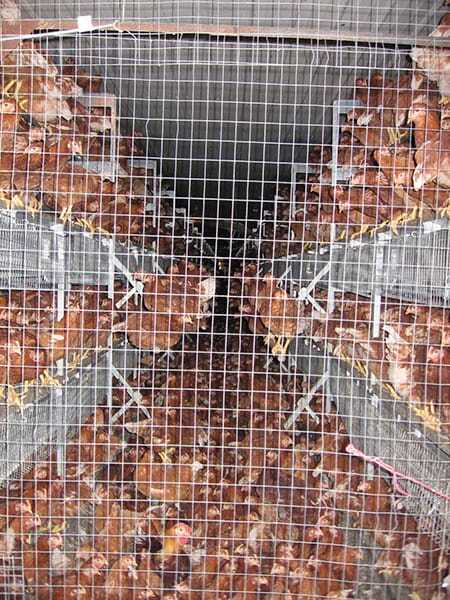 A two-story henhouse on The Country Hen’s farm in Massachusetts provides covered, enclosed wood porches as “outdoor access.” The Country Hen was initially denied organic certification by two different certifiers based on inadequate “outdoor access,” and is currently certified by Natural Food Certifiers. Photo by The Cornucopia Institute. Operation certified by Natural Food Certifiers. 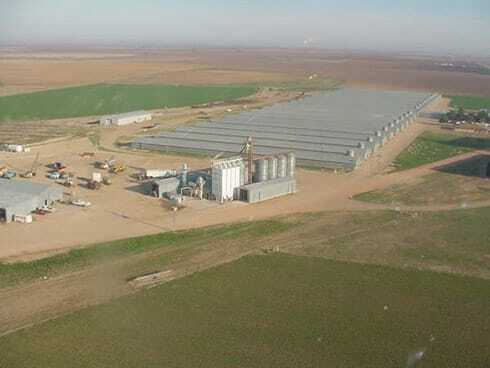 A view of 20 henhouses from the air of Chino Valley “ranches” in Texas. Chino Valley produces both conventional and organic eggs. Operation certified by CCOF. 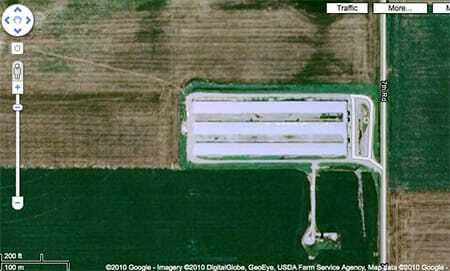 Chino Valley converted this former conventional egg operation in Texas to organic production. Operation certified by CCOF. 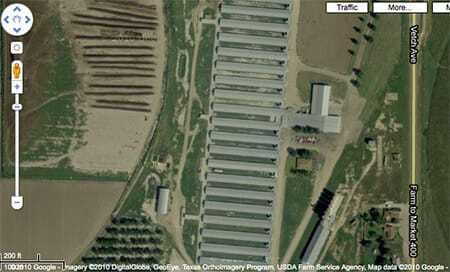 Henhouses for Chino Valley in Texas. The space between the houses provides “outdoor access.” Operation certified by CCOF. 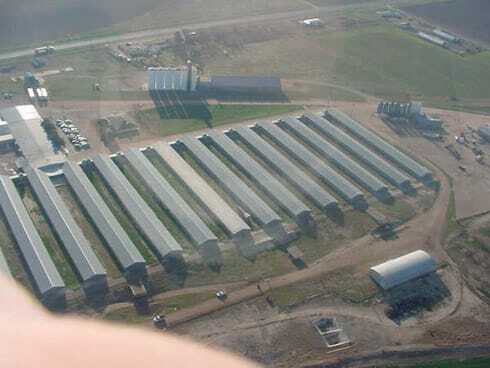 A view from the air of an egg production complex by Cal-Maine in Kansas, housing hundreds of thousands of birds, with an obvious lack of space available for outdoor access, which is required by federal organic standards. Operation certified by Oregon Tilth.